Looking for a unique gift or simply just want to say "Thank You". 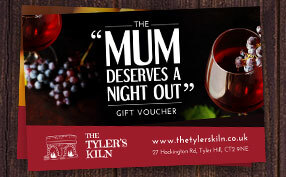 Why not give someone a "You deserve a drink" voucher? We now have additional car parking space just off of Link Road (if coast bound Link Road is immediately left before the pub). We’ve been named Kent Pub of the Year! We're proud and honoured to be named best pub at Kent's annual Food and Drink Awards ceremony. WELCOME TO THE TYLER’S KILN! 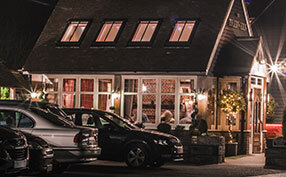 Expect a warm welcome and a comfortable, relaxing environment where you can meet friends, enjoy traditional home cooked food and choose from an excellent selection of wines, beers, spirits, teas & coffees. We are passionate about bringing a real sense of community to the village, combining good food, good drink and good company.